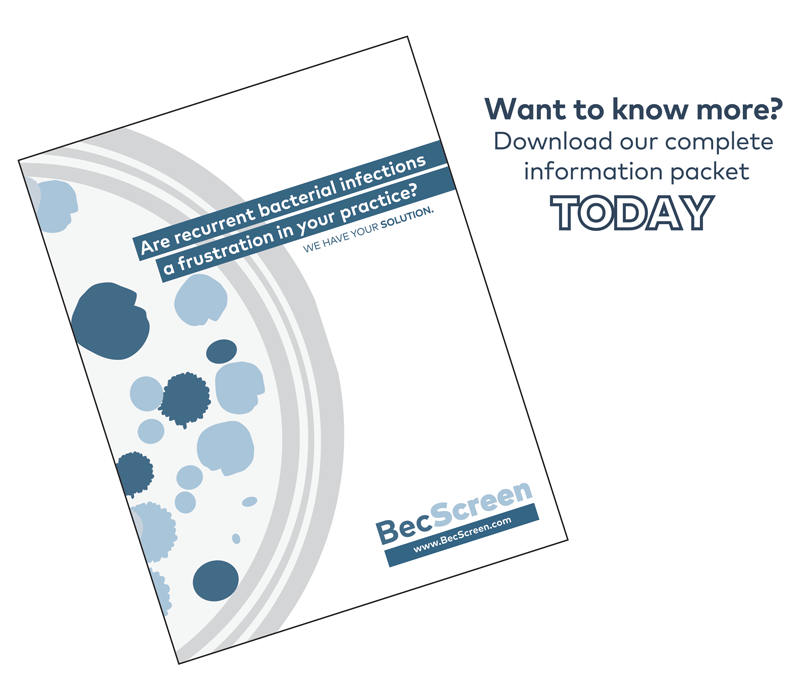 BecScreen is an in vitro assay that tests antibiotic susceptibility of bacteria cultured in its biofilm state, allowing for a more accurate treatment protocol. What is the difference between this type of testing and a traditional MIC panel? MIC (minimum inhibitory concentration) is the lowest concentration (in μg/mL) of an antibiotic that inhibits the visible growth of the bacteria. 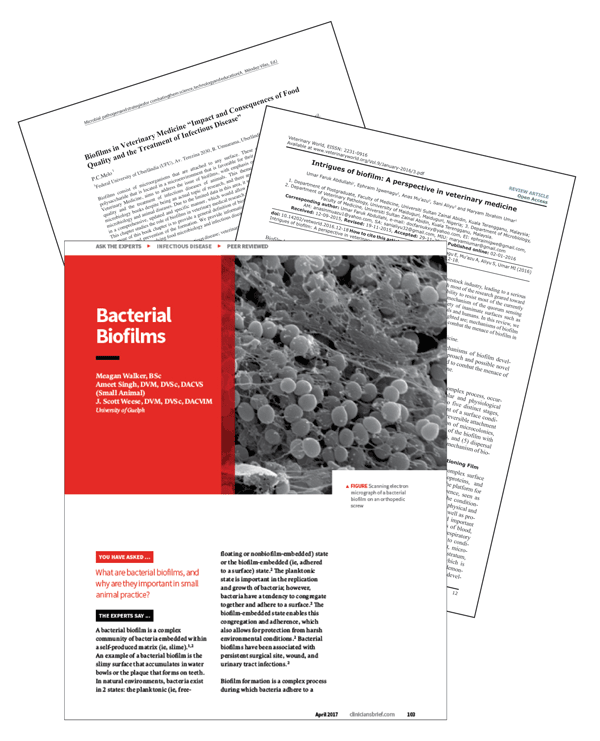 MIC results will test the susceptibility of planktonic (free-floating) bacteria but is not an effective assay against biofilms. MBEC (minimum biofilm eradication concentration) is the lowest concentration (in μg/mL) of an antibiotic that is able to penetrate and break down the biofilm, eliminating the infection. Why is this form of testing so important? 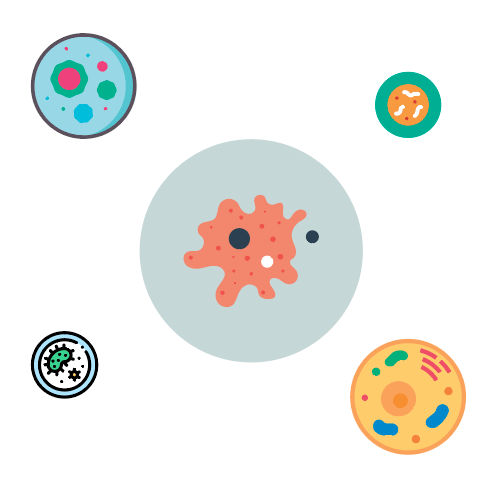 Bacteria have evolved therefore the testing we use must also evolve. With BecScreen we provide therapeutic options for these infections in their more resistant state (biofilm), creating longer lasting relief. Which antibiotics are you testing susceptibility to? 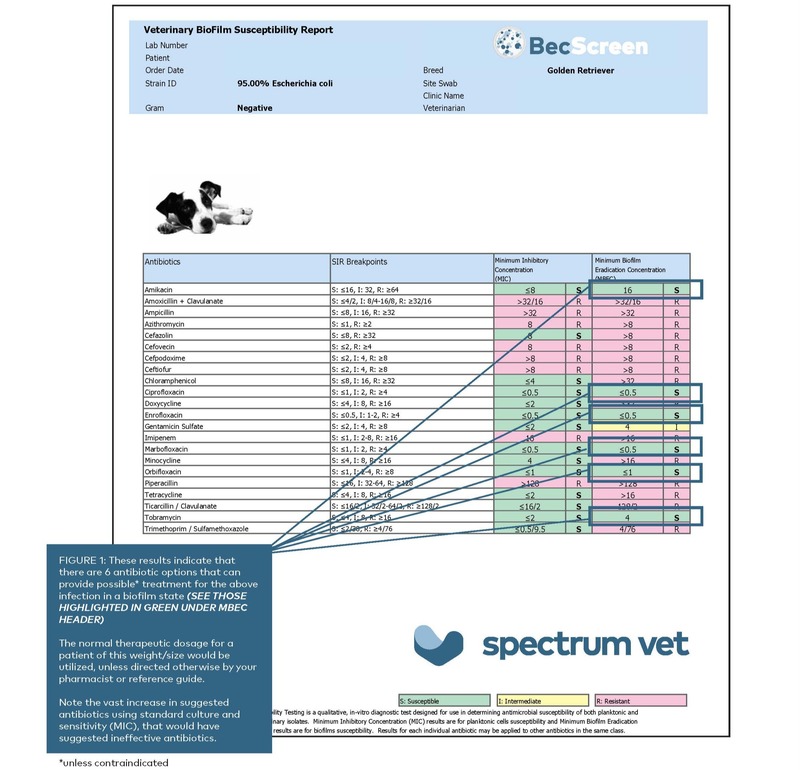 The BecScreen testing allows you to challenge an organism with 16 single antibiotics and 47 antibiotic combinations at serum breakpoint concentrations. How long will it take to complete testing? Because the incubation periods can range from 6-24 hours (for gram staining as well as the biofilm portion of the testing) we will have results in your hands within 7-10 days of receiving the sample. Once we know what antibiotics we can use for treatment, what are the next steps? Upon receiving results you can prescribe the (green) antibiotics in the recommended dosages. What does a sample with no growth indicate? No growth on any of the agar plates will often indicate that there is no aerobic bacterial infection. That said, it’s also possible that the infection is bacterial, but the swab wasn’t performed properly or the infection may be caused by yeast or anaerobic bacteria. What happens when the sample is resistant to all single antibiotic options? 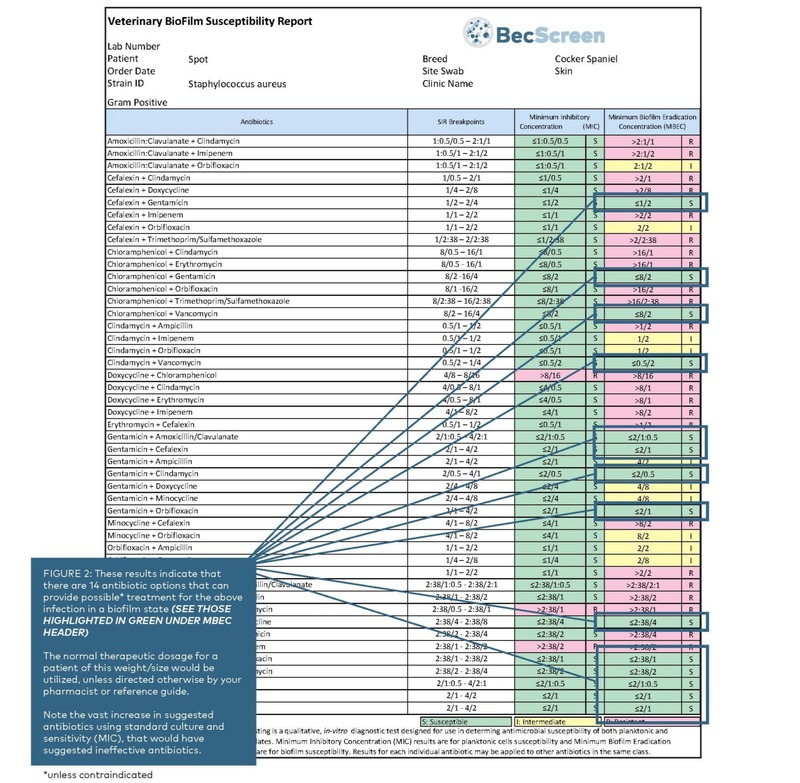 A secondary screen is run automatically and at no cost, to test an additional 47 antibiotic combinations to determine futher treatment options.